Not only is feasting referenced throughout the Scriptures, but Christian history places feasting as the central demonstration and expression of our gratitude toward God and the joy that comes from celebrating his Providence in our lives. With this in mind, we hold three all-school feasts each year: Reformation/All Saints’ Day, Advent/Christmas Feast, and Easter/Resurrection Feast. 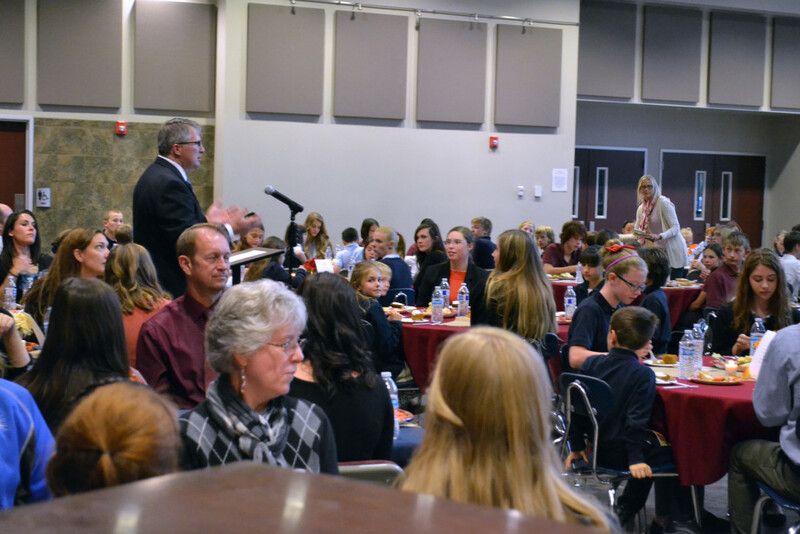 Our parent community provides and prepares these feasts, serving all K4-12th grade students as well as our faculty and staff. 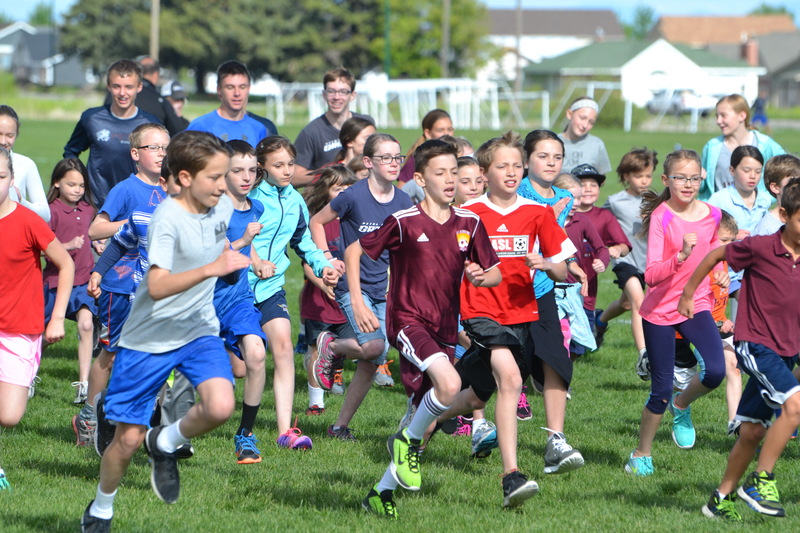 Field Day is a celebration of the physical as students compete against each other and themselves in outdoor athletic events. Whether it’s track and field or team sports, the competition is fierce while sportsmanship abounds. Our spring Film Festival is a one-day event during which Secondary students enjoy watching well-made foreign films and spend time analyzing and discussing them thematically and artistically. 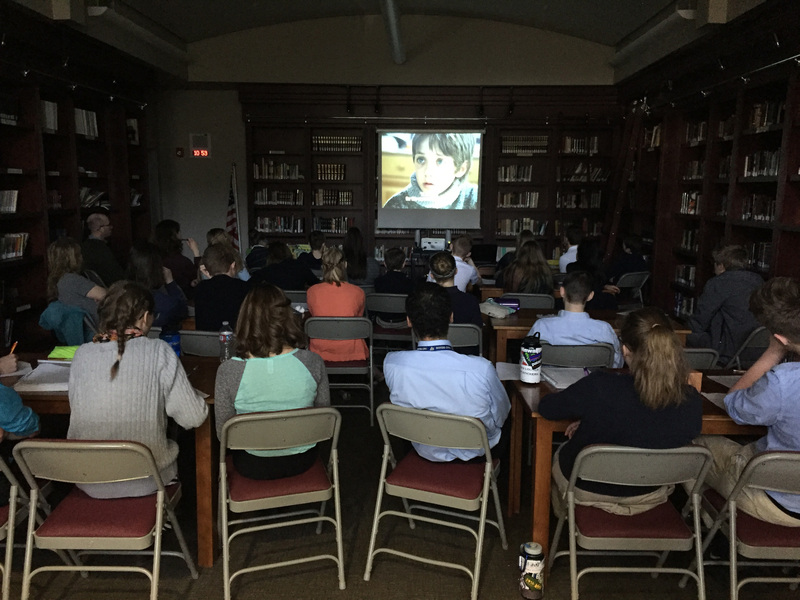 Led by our Humanities teachers, the Film Festival is a fun way to engage with one of our students’ favorite forms of media. The Gathering is how we welcome Secondary students back to school for the new year. Students share a meal together and catch up with friends about their summer vacation and the upcoming school year. Following dinner, everyone gathers in the Performance Hall for our annual house sorting of new students, incoming 7th graders, and the introduction of Prefects for the year. 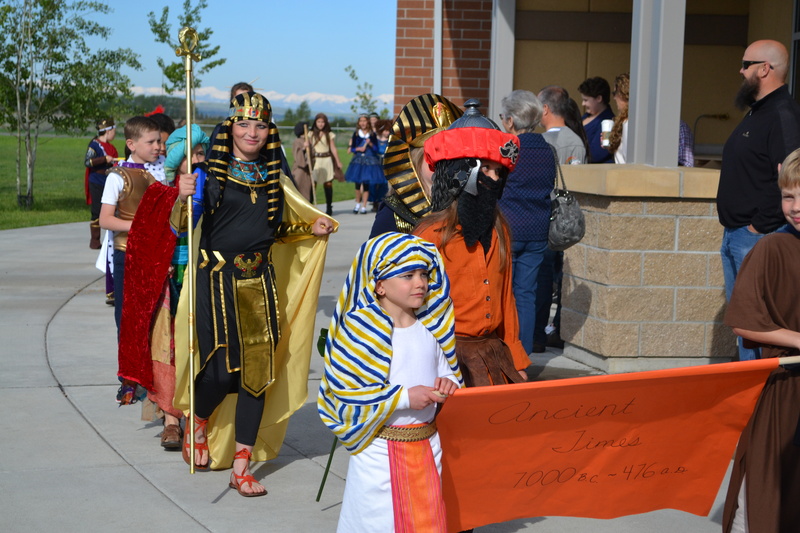 Complete with parade and presentation, our annual Elementary History Fair is a fun showcase of our students’ study of history. Covering all the major periods (Ancient, Medieval, and Modern) with costume and characterization, our students enjoy not only studying history, but stepping into it as well. Protocol is a special event each year for Secondary students – an opportunity to build community outside the normal confines of the school day and engage with one another in the context of a formal social gathering. The Protocol program consists of a series of classes which cover the basic characteristics and etiquette of formal and semi-formal occasions. 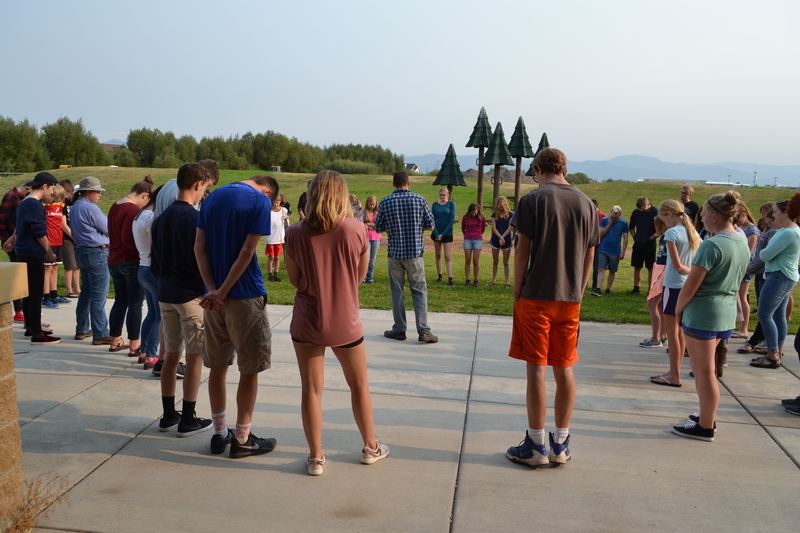 Training topics include formal and informal dining, formal and informal attire appropriate for special events, and the art of interacting with one another in a Christ-honoring and civilized manner. 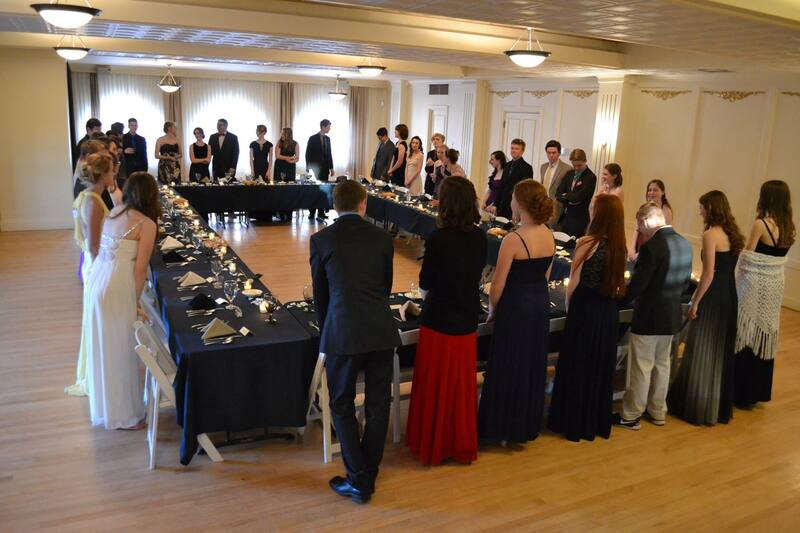 Protocol then culminates in an annual event where students are given the opportunity to practice the formal skills they have learned in a formal setting. The less formal aspects are put into everyday practice, as the students strive to interact with one another in love and humility. 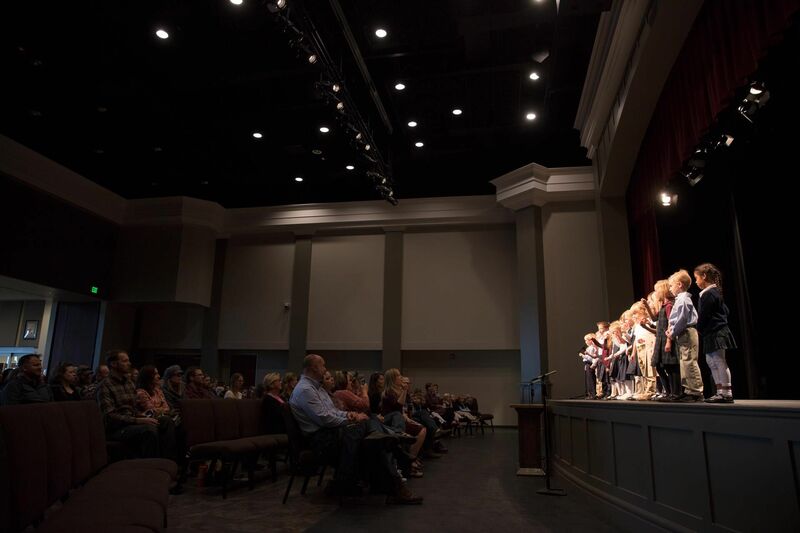 Whether monthly (Elementary) or quarterly (Secondary), our Recitations give students opportunity to recite for parents and the public a little of what they’re learning in the classroom. Poetry or prose, math facts or human anatomy, voice or violin – all are fair game for students to prepare and present in front of a very friendly audience. 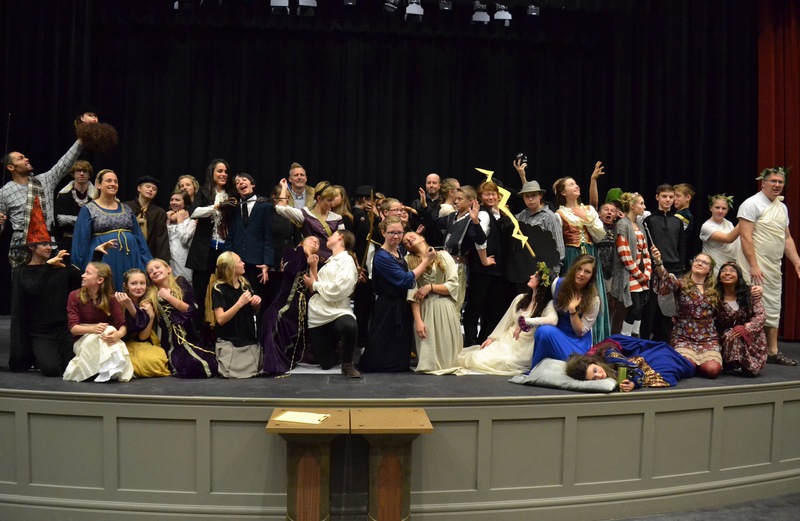 Always the two days before Thanksgiving Break, our annual Secondary Shakespeare Festival is a fun two days of Renaissance revelry. Students and faculty alike dress up in their most creative character costumes, and we welcome Shakespeare in the Schools to help lead students through a series of theatrical workshops as well as perform one of the Bard’s best shows each year, to which we’re glad to open up and welcome the public.